3. 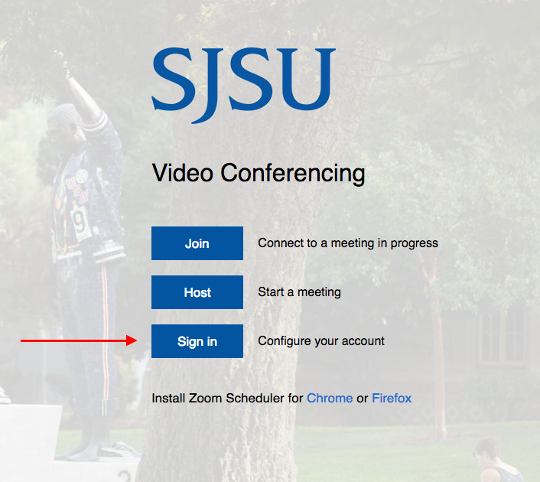 Log in using your SJSU SSO (Single Sign On) credentials, the same credentials as your Canvas log in. Do not log in with your email account. 4. Click on Schedule A Meeting link at the top of the web portal page or when in your Meetings tab. 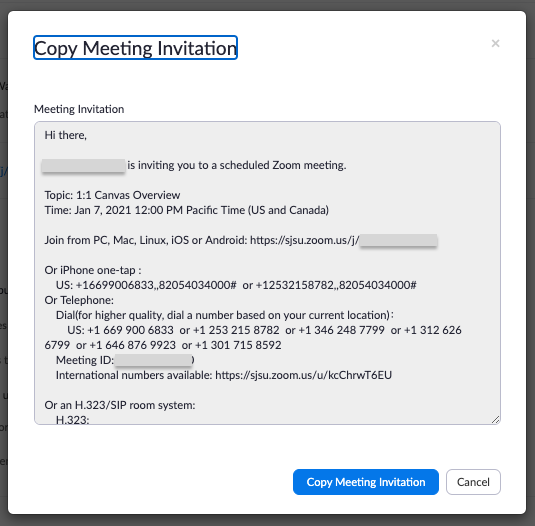 Note: Zoom can host meetings with up to 100 participants. 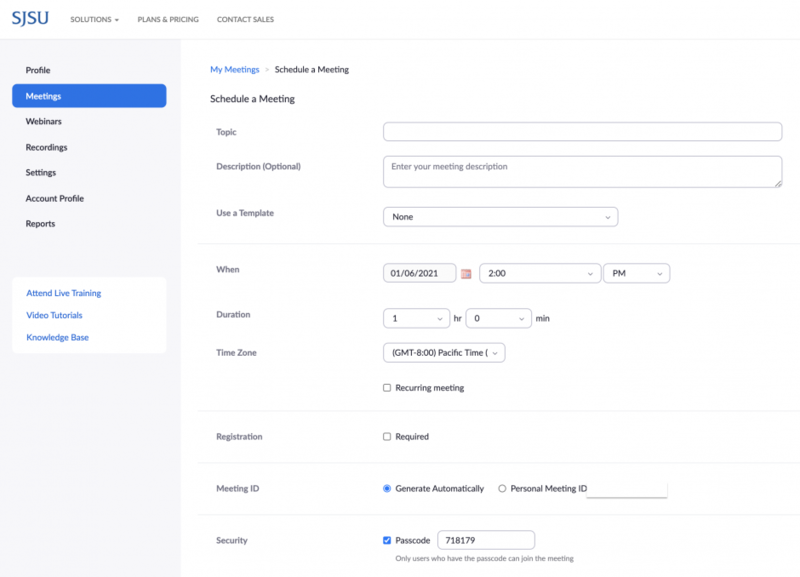 ​You can either schedule a meeting for a specific date and time or you can set up a recurring or “always available” meeting. Instructions for setting up a recurring or “always open” meeting are listed after step 10 in the section below. Select Enable join before host if you want to let participants enter the room before the host arrives. Otherwise, they will receive a message notifying them that they will enter once the host has entered the room. Recommended: Select Mute participants upon entry. 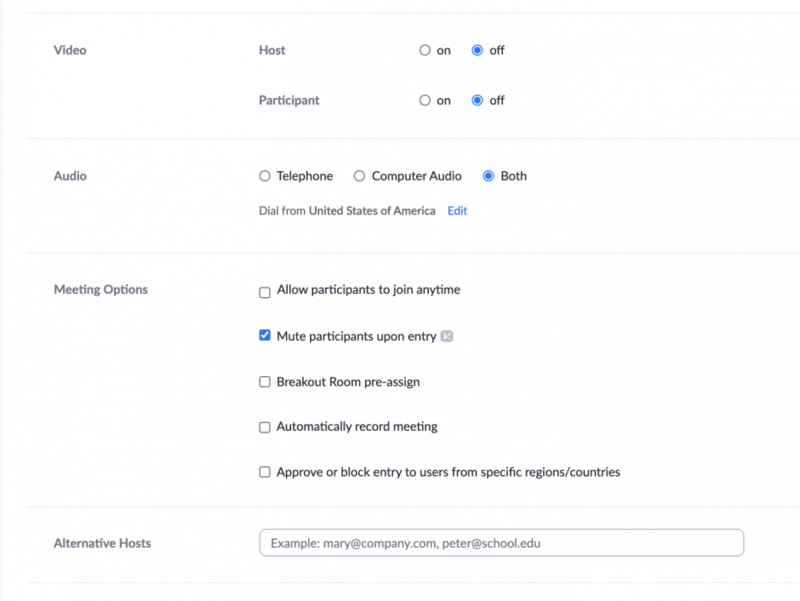 You can name alternative hosts If you set up a meeting which might be hosted by another person (for example, student group meetings). Note that alternative hosts must be listed with their @sjsu.edu email addresses. 5. Continue by following the steps listed in the section above, starting with step 6. 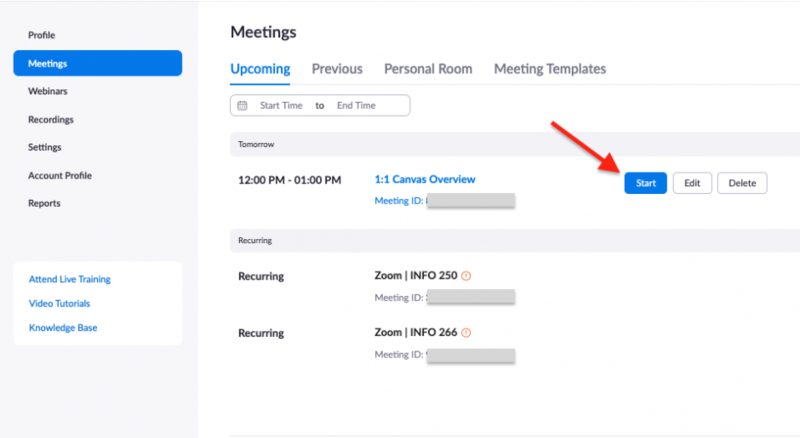 After you have saved your meeting, you will see a screen with information about how add the meeting information to your calendar. There is also important information to share with those you will invite to participate. 1. To invite attendees, you can simply copy the link (indicated in the image below) and email or post it. Alternatively, you can click Copy invitation then paste it in a separate email to participants. The invitation includes the meeting link, phone numbers to call in to the meeting if computer audio is not available, and the Meeting ID. Also see “How Do I Invite Others to Join a Meeting?” on the Zoom support site. The Host (person setting up meetings) cannot have more than one meeting they created running simultaneously. For example, a student who created a meeting for a student chapter and a meeting for a class project will not be able to have both meetings going at the same time, regardless whether or not the Host is present in either. 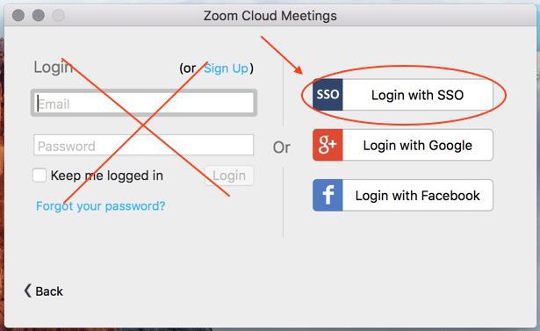 There is not an option in Zoom to send meeting reminders. Meetings may be added to calendar tools such as Outlook or Google calendars for reminders. To enable polling, whiteboard and annotation settings, file transfer, and the Away button (“Nonverbal feedback”), under the Meeting Settings tab in the menu box on the left side of the page, scroll down to In Meeting Basic to toggle settings on/off. Allowing Co-hosts to be created is recommended as a backup in case host loses connection; toggle on under In Meeting Basic. 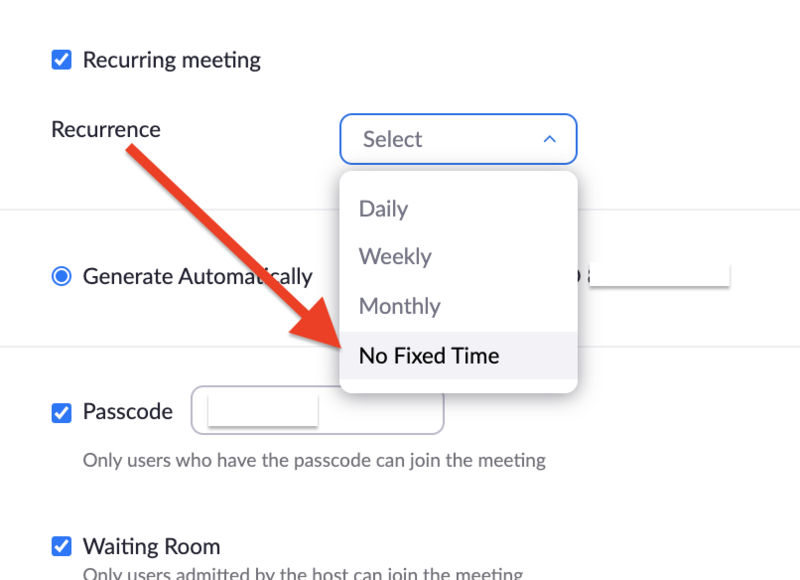 To enable breakout rooms and closed captioning, under the Meeting Settings tab, scroll down to In Meeting Advanced to toggle settings on/off. Hosts and co-hosts have most of the same in-meeting controls. Only a Host can create a co-host. Hosts and co-hosts can turn recording on and off, but participants must ask permission from the Host first before they can record. Hosts and co-hosts can launch polls and share poll results. Polls can be created before the meeting or on the fly; on the fly polls are created in the web portal, not the Zoom meeting window.